The Fractions Learning Journey includes downloadable and interactive worksheets and games and runs in the order that children learn about fractions at school. To get you started, read through What your child learns in KS1 maths and What your child learns in KS2 maths then scroll down to see all the worksheets in the Fractions Learning Journey. Don't forget! We have a whole section of the site about fractions where you'll find lots more information, including articles, worksheets and games. 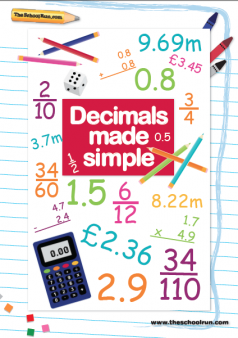 For a complete guide to fractions, and lots more practice worksheets, download our subscriber-only learning pack, Fractions made simple. EQUIVALENCE is when two fractions are equal (equivalent). An IMPROPER FRACTION is a fraction that is ‘top-heavy’, where the numerator on the top is bigger than the denominator on the bottom. INVERSE means opposite or reverse. A MIXED NUMBER is a whole number and a fraction written together, such as 1½. Write simple fractions (for example, 1/2 of 6 = 3) and recognise the equivalence of 2/4 and 1/2. 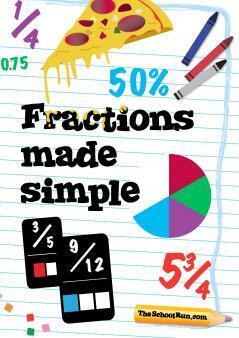 Don't forget to download your fractions learning pack!